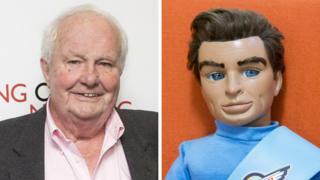 Actor Shane Rimmer, who provided the voice of Scott Tracy in Thunderbirds, has died at the age of 89. As well as voicing the heroic puppet pilot in the hit 1960s TV show, Rimmer also appeared in some of the biggest film franchises of all time. He starred in James Bond film The Spy Who Loved Me and had smaller roles in Star Wars, Superman and Batman movies. He was also a familiar face on ITV's Coronation Street in the late 1960s as American GI Joe Donnelli. He returned to the soap in 1988 as another character, Malcolm Reid. Born in Toronto, Canada, Rimmer moved to London in the late 1950s. During his prolific career, he also appeared in TV shows like Doctor Who and The Saint, and in films including Dr Strangelove, Gandhi, Rollerball and Out of Africa. His management company Infinite Artists said: "Shane was always tremendous fun and an absolute delight to work with. He will be very much missed."